Everything that is required for emulation, debugging, real-time trace and logic analysis in embedded designs can be supplied by Lauterbach. Since all of the software and hardware modules are developed by Lauterbach in Höhenkirchen-Siegertsbrunn this ensures optimum integration between individual components. Lauterbach systems have open interfaces to other products in the tool chain. 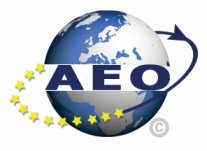 Long-standing partnerships with all well-known suppliers in the embedded sector guarantee un-paralleled inter-operation. For example, TRACE32 already offers exceptional integration with numerous compilers, real-time operating systems and case tools, all of which have been extensively tested under practical conditions. All Lauterbach products are supplied with the same TRACE32-PowerView user interface. Customers who have been trained once will find it easy to switch to any other system in the range of TRACE32 products. The decision to make Lauterbach systems modular and to provide an open interface has meant that customers can protect their investment and guard against obsolescence. First generation TRACE32 systems have been compatible with follow up devices for over 10 years. Systems are easily scalable so that an entry-level system can be upgraded with additional technology without a problem and at a low cost. With very few exceptions TRACE32 is able to support all well-known processor architectures from 8-bit to 64-bit. Customers increasingly demand this unique feature because development cycles of modern products are becoming shorter and it is often necessary to change to another suitable processor for the next project. The ability for the same tools with little or no modification to be used is a real plus for Lauterbach systems. Today more than 1000 different microcontrollers are supported. 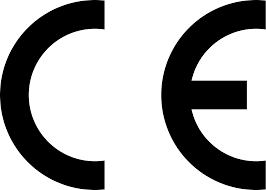 Lauterbach declares with the CE marking that the TRACE32 products meet the requirements of the applicable EC directives. Lauterbach declares with the RoHS marking that the TRACE32 products are complying with the RoHS regulations. From the beginning, Lauterbach was part of the group that initially developed the OSEK/ORTI standard. Since then, Lauterbach actively drives the advancements of ORTI, which is now used within the AUTOSAR/OS environment. Using the ORTI standard, TRACE32 automatically detects OS objects like tasks, alarms, etc. It can display the attributes of all these objects, and can perform detailed performance analysis on tasks and functions, without instrumentation or intrusion to the target application. We are proud to be an official partner of the AUTOSAR development partnership (*AUT*omotive *O*pen *S*ystem *AR*chitecture). The partnership allows us to keep up to date with the AUTOSAR development, providing always the right debugging solution at the right time for automotive systems. From January 2017 Lauterbach has been a member of ASAM (Association for Standardization of Automation and Measuring Systems). ASAM members are primarily international car manufacturers, suppliers and engineering service providers from the automotive industry. ASAM coordinates the development of technical standards for the automotive industry. These standards are developed by working groups composed of experts from the member companies. These standards define protocols, data models, file formats and application programming interfaces (APIs) for the use in the development and testing of automotive electronic control units. Compliance to these standards guarantees interoperability of tools from different vendors, allows data exchange without the need for converters, and facilitates the exchange of unambiguous specification between customers and suppliers. Lauterbach has been a member of the Nexus 5001 Forum ever since its foundation and was first to market with tools conforming to the NEXUS specification. The Nexus 5001 Forum, formerly known as the Global Embedded Processor Debug Interface Standard Consortium, was formed in April 1998 to define and develop a much-needed embedded processor debug interface standard for embedded control applications. The Nexus 5001 Forum membership spans the semiconductor, development tools and automotive electronics industries. Although the Forum initially focused on the stringent requirements of microprocessor debug tools for automotive power train applications, its overall goal is to enable the continued development of state-of-the-art, easy-to-use, high performance microcontrollers. In the Debug Working Group of the MIPI Alliance, Lauterbach has been involved in the definition of interfaces as well as corresponding debug tools for mobile phones. The Mobile Industry Processor Interface (MIPI) Alliance is an open membership organization that includes leading companies in the mobile industry that share the objective of defining and promoting open specifications for interfaces in mobile terminals. MIPI Specifications establish standards for hardware and software interfaces between the processors and peripherals typically found in mobile terminal systems. Lauterbach has been an active member of the IEEE P1149.7 Working Group for the definition of new JTAG standards ever since its foundation.